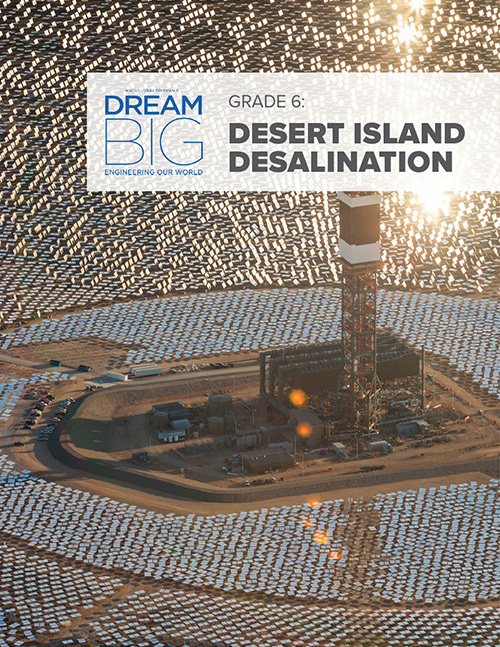 Dream Big is accompanied by an unparalleled array of exhibits, events and educational programs to take the film from visceral viewing experience to fully interactive educational movement. 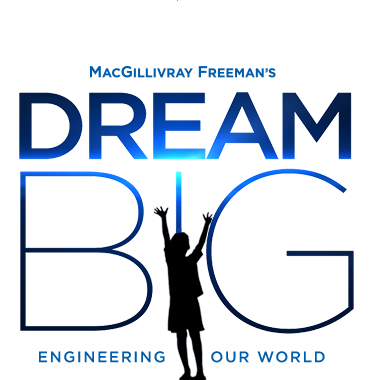 We hope you will use Dream Big’s suite of educational tools to share the world of engineering with students and learners across the globe. 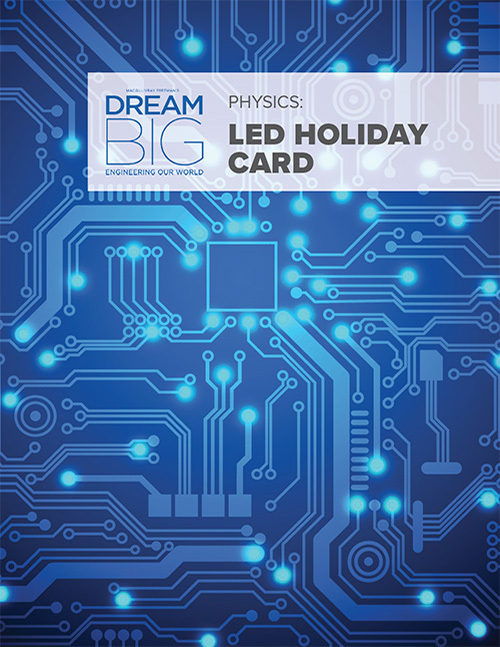 The Dream Big Educator Guide is a companion resource to the film. 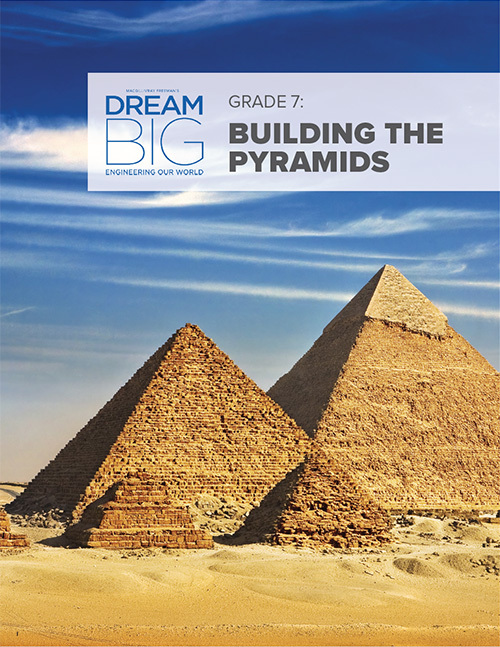 It includes multidisciplinary activities for students in grades K–12 and has been written to meet Next Generation Science Standards (NGSS), as well as common state science objectives. 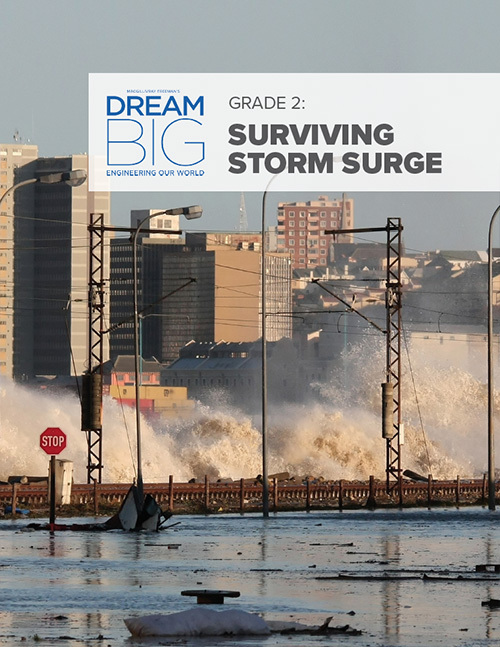 Each lesson presents students with an engineering challenge inspired by the work of real engineers and can be used to help introduce the engineering mindset to the classroom or your home. Download the complete guide or one of the lessons below. 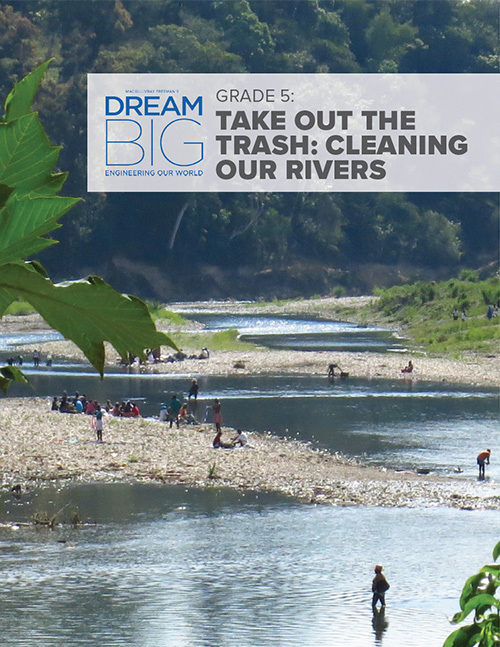 Among the educational resources designed for Dream Big are museum programs that will be implemented across the country. 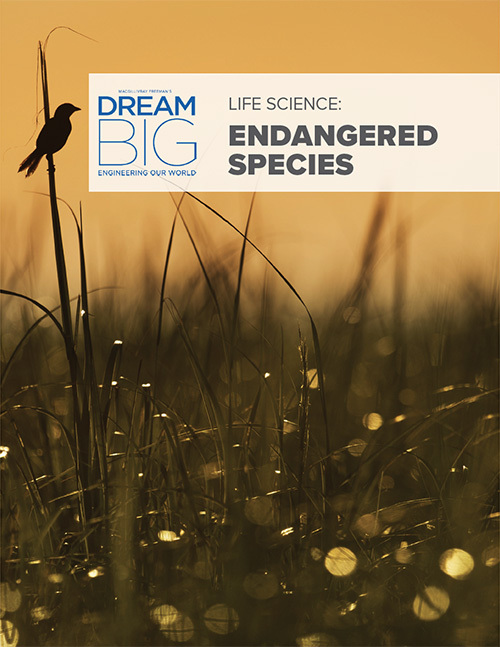 Check with your local science center or museum to find out what they’re doing for Dream Big. 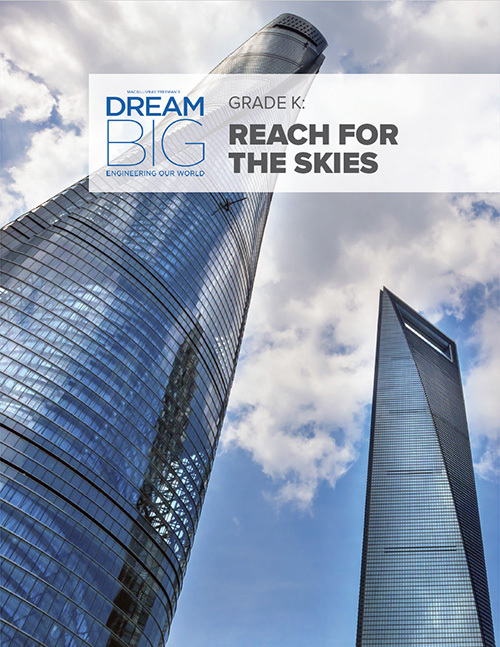 When the Dream Big film premieres on giant screens, be ready with an event that enlightens and entertains. 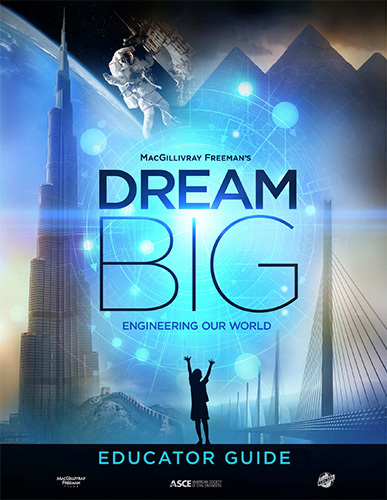 Dream Big premieres during the popular Engineers Week in February 2017. Make it really big! Engage students in this day-long workshop as they plan, shoot and edit their own short film about engineering. Take a deeper dive into the engineering stories featured in the film with this series of five-minute educational videos. Each of the educational videos below matches up to a lesson plan included in our comprehensive Educator Guide. Download the Educator Guide. We hope that Dream Big will be an experience that audiences will take with them long after the projector stops—an experience that continues to spark curiosity, questions, awe and maybe even aspiration. Here are some ideas to help to spur even more learning in your classroom or at home. Hour of Code Age 4-104 Hour of Code is a great free resource for anyone ages 4-104 to try out a little computer programming, just to get an idea of what coding is all about. howtosmile. All Ages Website offering all sorts of easy science and engineering activities you can do with your kids using items you often have in your home. LEGO Ideas All Ages Do you have a great idea for a Lego set? Submit your prototype to see if Lego will turn your idea into their next big seller or support proposals you love. Maker Faire All Ages Maker Faire is the Greatest Show (and Tell) on Earth—a family-friendly festival of invention, creativity and resourcefulness, and a celebration of the Maker movement. Part science fair, part county fair, and part something entirely new, Maker Faire is an all-ages gathering of tech enthusiasts, crafters, educators, tinkerers, hobbyists, engineers, science clubs, authors, artists, students, and commercial exhibitors. 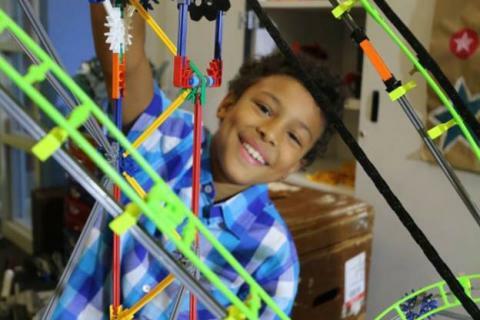 Maker Space Ideas All Ages Join the grass-roots movement of families to use your creativity and your own two hands to build your very own home made inventions! Check out these sites for ideas or find a maker faire in your area for inspiration! NASA Robotics Alliance Project All Ages Information on robotics events and competitions and support for students interested in robotics, centered on the goal of enabling the implementation of future robotic space exploration missions. Scratch Jr. Ages 5-7 Scratch Jr. is a free, fun, visual-based software program your kids can learn online using a computer or mobile device, brought to you by the brilliant minds of MIT. Scratch Programming Age 8-16 Scratch is a free, fun, visual-based software program your kids can learn online using a computer or mobile device, brought to you by the brilliant minds of MIT. Ultimate STEM Guide for Kids Age K-12 From STEM game and apps to camps, contests, and career resources, this is a comprehensive list of 239 cool STEM sites. 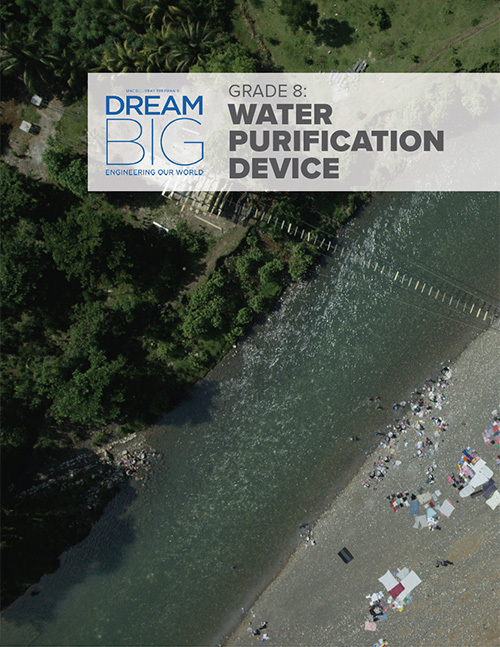 App Challenge Grades 6-12 The app challenge, part of Verizon Innovative Learning, is a nationwide contest in which middle and high school students are challenged to develop concepts for mobile apps that solve a problem in their community. Winners have the chance to work with MIT engineers to code their apps and share them on the open marketplace. BEST Grades 6-12 Take a box filled with items such as PVC pipe, screws, piano wire, aluminum paint grid, a bicycle inner tube, a BRAIN (BEST Robotics Advanced Instruction Node programmable platform), and try to design and build a functioning machine that can perform specific tasks. Botball Grades 6-12 The Botball® Educational Robotics Program engages middle and high school aged students in a team-oriented robotics competition. Students use science, engineering, technology, math, and writing skills to design, build, program, and document robots. 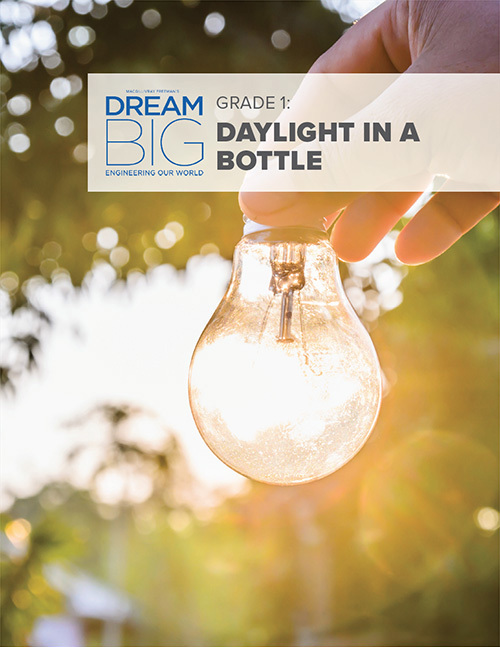 Bright Schools Competition Grades 6-8 Students in grades 6-8 will select a topic related to light and sleep and select one of three exploration options (developing a prototype, creating an awareness campaign or writing a research proposal) to create an original project. Concrete Canoe College Can concrete float? These college engineers not only get concrete to float, they race their canoes against other college teams in competition! Find out more at asce.org for races in your area. Conrad Spirit of Innovation Challenge Grades 9-12 The Conrad Spirit of Innovation Challenge is an annual, multi-phase innovation and entrepreneurial competition inspired by astronaut, innovator, and entrepreneur Charles “Pete” Conrad Jr.
Destination Imagination Grades K-12 Team up with other kids your age in a challenge to design, build and test your ideas to solve real world problems. You’ll get to present your ideas your way in local and regional competitions against other teams your age as well as participate in instant challenges that let you think outside the box! eCYBERMISSION Grades 6-9 eCYBERMISSION is a web-based Science, Technology, Engineering and Mathematics competition where teams propose a solution to a real problem in your community and compete for State, Regional and National Awards. Engineer Girl Essay Contest Grades 3-12 Every year, the EngineerGirl website sponsors a contest dealing with engineering and its impact on our world. FIRST® LEGO® League Grades 4-8 Using Lego Mindstorms robotics, you and your team competes against other FLL teams’ robots to see whose design can best respond to a real world challenge! FIRST® Robotics Competition Grades 9-12 Under strict rules, limited resources, and an intense six-week time limit, teams of students are challenged to raise funds, design a team “brand,” hone teamwork skills, and build and program industrial-size robots to play a difficult field game against like-minded competitors. FIRST® Tech Challenge Grades 7-12 FIRST Tech Challenge teams are challenged to design, build, program, and operate robots to compete in a head-to-head challenge in an alliance format. Future City Grades 6-8 Future City is a project-based learning program where students imagine, research, design, and build cities of the future. 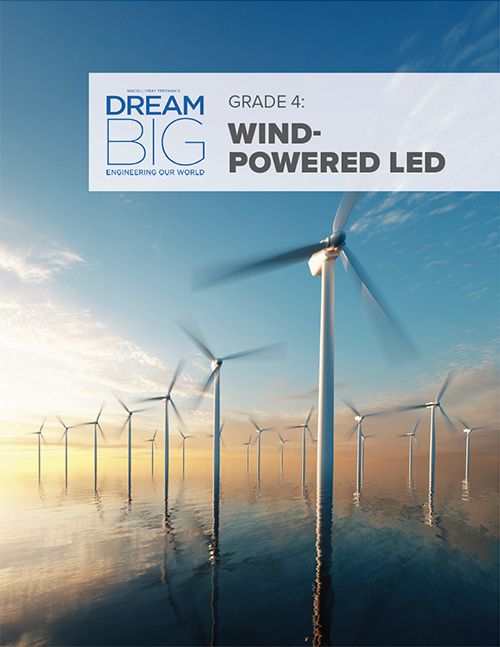 Future Engineers Grades K-12 Future Engineers is an education platform that hosts and develops design challenges for young innovators. Junior Solar Sprint Grades 5-8 Managed by the Army Educational Outreach Program, Junior Solar Sprint (JSS) is a free educational program where students design, build and race solar powered cars. MATE ROV Competitions Grades K-12 The MATE (Marine Advanced Technology Education) competition challenges K-12, community college, and university students from all over the world to design and build underwater robots (aka remotely operated vehicles or ROVs) to tackle missions modeled after scenarios from the ocean workplace. ProjectCSGIRLS Grades 6-8 ProjectCSGIRLS aims to cultivate a love for technology and computer science in girls through an annual competition designed to challenge girls to actively use computer science and technology to develop a solution to an imminent social problem. Pumpin Chunkin All Ages In October/November, watch out for flying pumpkins as teams compete to see how far their trebuchets can fling those jack-o-lanterns! Check online for local/regional competitions. 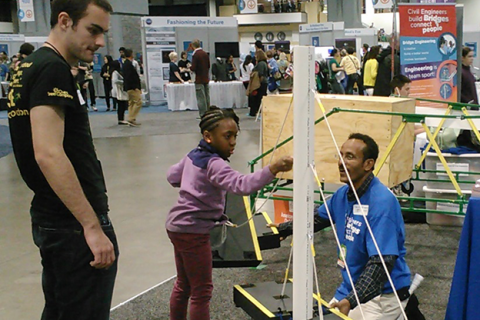 Build your own simple or complex machines and study physics in action! Red Bull Paper Wings College Paper airplanes like you’ve never seen before. Compete for longest distance, longest airtime and aerobatics in qualifying events across the nation, then post your video online for public voting. Robotics Education & Competition Foundation Grades 4-College The REC Foundation exists to bring the exciting experience of competitive robotics to students all over the globe through the VEX IQ Challenge, VEX Robotics Competition, and VEX U. 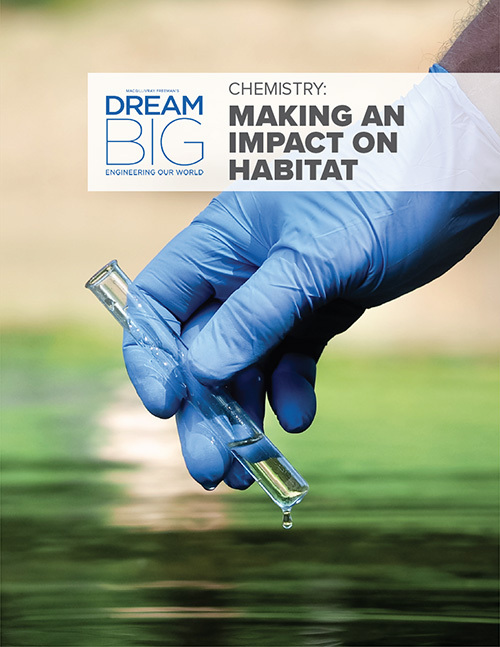 Young Scientist Challenge Grades 5-8 Students are invited to create a 1-2 minute video describing a new, innovating solution that could solve an everyday problem. 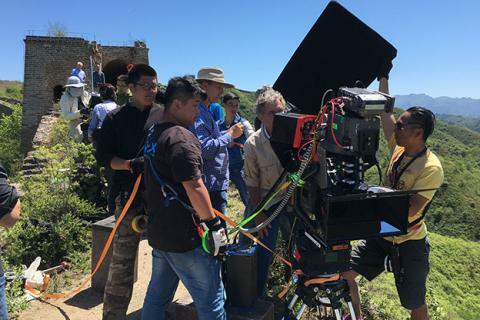 Sign up for our Educator Mailing List to get updates on MacGillivray Freeman’s upcoming films, projects and educational programs.